Perran Lodge is Newquays newest and arguably best retirement development, beautifully designed and built by Churchill Retirement Living, with the added piece of mind of a 10 year NHBC Build Warranty for the over 60's market. The location is perfect, situated on Narrowcliff over looking the Barrowfields and Newquay Bay, just a short walk from the secondary shopping complex on Chester Road and with an active bus route directly outside. Close to various beaches and near to the town centre which is accessed along a level approach. 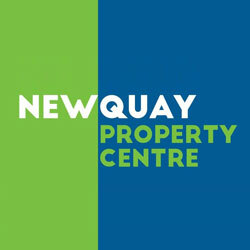 The development has free owners parking on an unreserved basis with a sheltered mobility scooter area including charge points. The secure front entrance houses a Well-being Suite and the Lodge Mangers Office. There is a lift to all floors, twin en-suite Guest Room and wonderful Owners' Lounge with communal south facing gardens. Throughout the entire property there is Ground Source Central Heating which services radiators thermostatically controlled, throughout the apartments. The cost, maintenance and running of the Central Heating and hot water facilities is included within the Service Charge. Number 12 is situated on the ground floor and on the front aspect. Being on the ground floor it has its own small patio area situated off from the lounge/diner. The principal accommodation consists of a good size entrance hall with large airing cupboard. From the hall there is access to all of the remaining properties rooms. The lounge/diner is open plan and just over 23' in length with full height patio doors to the patio. Off from the lounge/diner is a beautifully equipped kitchen in contemporary grey gloss finish style, smooth units with integrated eye level oven, surface mounted hob, overhead extractor as well as integrated fridge, freezer and washer/dryer with plenty of extra cupboard space. The bedroom is a good size double with mirror fronted double wardrobes and the bathroom has a quality double shower, wash basin within vanity unit and mirror cabinet above with low level concealed cistern WC, all with beautiful tiling and fittings. Within the apartment there is also UPVC double glazing, Smart System for video entry and Careline Control. Beautifully decorated with light colours and carpets. A wonderful lifestyle choice for the retired looking for safe, secure and convenient independent living. Agents Note: Please be advised that whilst the minimum age restriction for an individual is 60, within a partnership as long as one person is over 60 the other person only needs to be over 55.